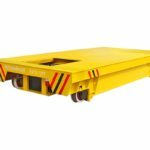 Electric flat transfer cart is one kind of material handling equipment for transporting heavy duty cargo. 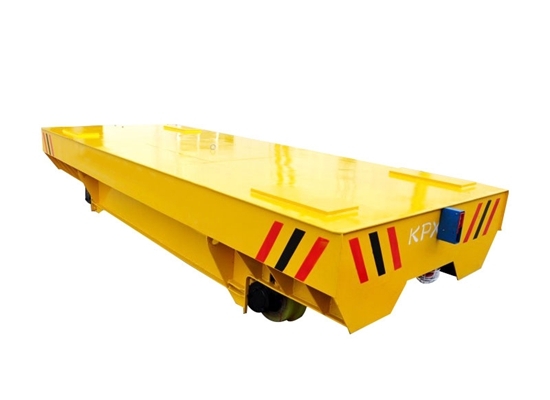 The railway running flat transfer car is towed or pulled bu forklift, tractor or motor machine. 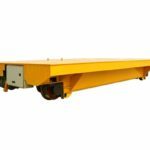 According to your application, you can choose track or trackless running flat car for material transportation. Pushing device and pulling device are available to the transport cart at front and rear. Two or more electric flat transfer cars can be connected together hugely to increase the working efficiency. Flat deck or fixtures are designed to transport special payload. Customized deck specifications may include lift, tilt or rotate function. 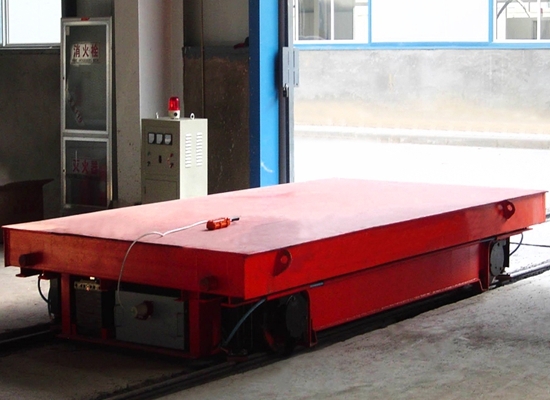 Such flexible traveling flat transfer cart has fixed speed or variable speed. It is designed with forward or backing driving, which makes the traveling flexible and easy. 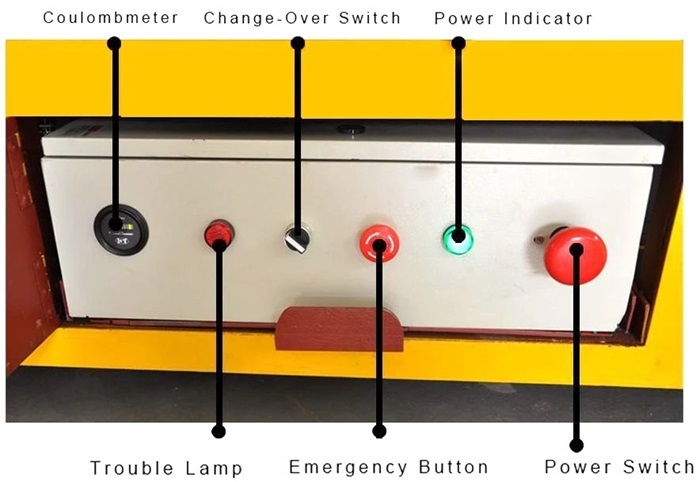 Electric flat transfer cart has complete safety protection devices, such as horn, lights, emergency stop, bumpers and detector. Our company is a professional crane supplier in China. We provide types of qualified lifting devices for sale, such as overhead crane, gantry crane, jib crane, boat travel lift, construction winch, marine winch, steel structure and load transfer trolley. With reliable performance, affordable price, our products have been exported to more than thirty countries. To expand our business, our company set agency in Pakistan, which makes purchase more convenient and effective. For any question about material transfer carts, just send email to sales@crane.pk. Battery transfer cart is a flexible device when items need to move from one workstation to another. 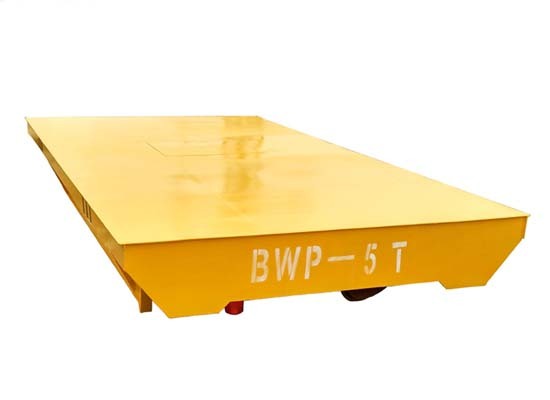 It is mainly used for transporting heavy objects on rails. Industrial transfer car has wide application in warehouse, factory, construction site, material handling yard. 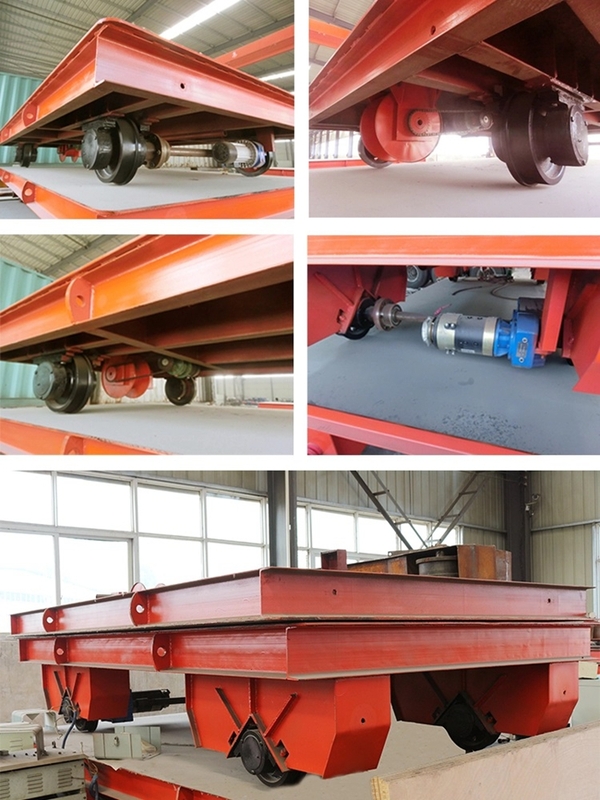 Each rail transfer cart is customized for its specific application, giving stability and control. This can ensure the safety of screw and the integrity of the item. Die transfer cart has integrated structure. 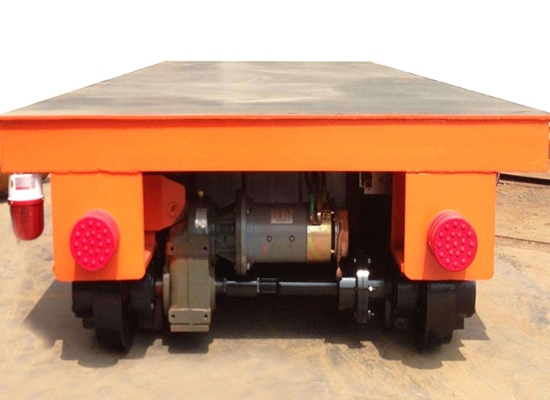 It is mainly composed of flat bed, traveling wheels, electric motor, lifting holes, draw bar. 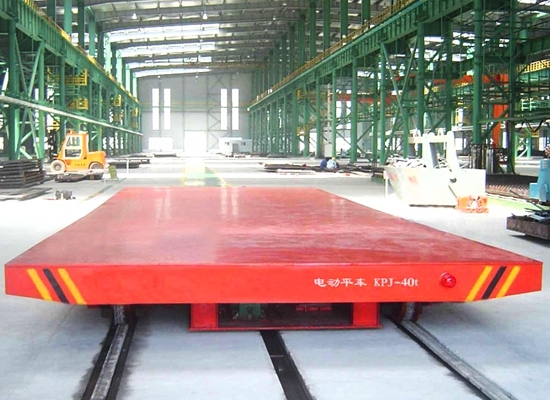 Simple structure makes rail transfer car easy operation, simple install, maintain and check. Reasonable design can save much energy, time and labor resource. Electric transfer cart is powerful and durable. 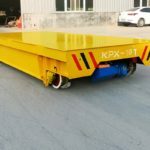 With large loading capacity, motorized transfer trolley can deal with heavy lifting work stably and efficiently, such as 10 ton, 20 ton, 30 ton. Place the heavy material on the flat car. And the car travels on the rail quickly and flexibly. This can increase working efficiency and save much time. 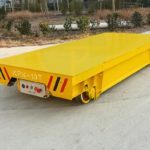 Coil transfer trolley is equipped with complete safety protection devices, such as overload protection, over-speed protection. These devices can avoid accident, reduce damage, protect the transfer trolley and the operator from risk. Safety protection devices ensure the transfer cart normal working condition and long service life. 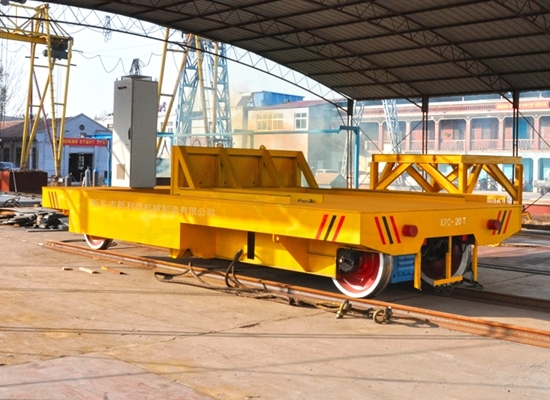 Rail transfer trolley has easy operation and reliable performance. The operation ways include cable control and wireless remote control. Both of two types are available and easy. Which control method to choose is based on practical needs and customers’ requirement. 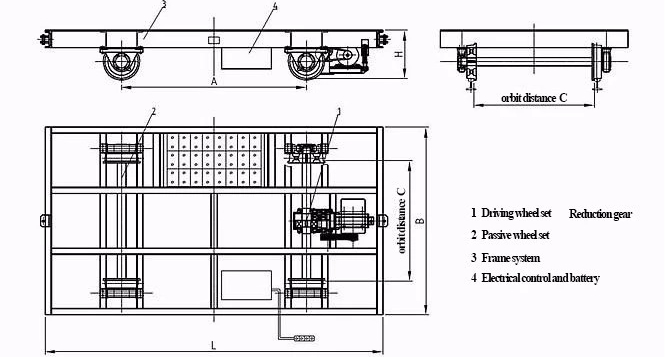 Our company, a reliable transfer cart manufacturer, provides customized service to ensure suitable on rail transfer trolley. For any type of electric flat transfer cart or other lifting devices, just contact with us!